Orissa offers some of the finest white sand beaches in the world. In Orissa one can tour the Puri Beach and Gopalpur Sea Beach with Puri beaches tour. 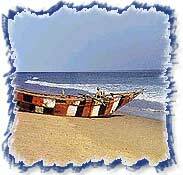 During the Beaches of Puri Tour you will visit beaches of Orissa. Puri Beach is also known as one of India's finest beaches. This beach attracts millions of travellers to India with its strategic setting and religious importance. Gopalpur-on-Sea is one of the most beautiful and unspoiled beaches which we will definitely visit, while taking the Beaches of Puri Tour. Arrive at Kolkata (formerly known as Calcutta). 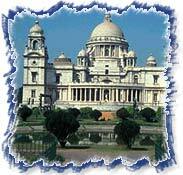 The cosmopolitan city and capital of West Bengal is the main gateway for the travellers to India. Upon arrival, you will be met by our representative and transferred to the hotel. In the morning, after having our breakfast we drive to the airport for a flight to Bhubaneshwar (1 hr.). Bhubaneshwar is considered the most sacred city in Orissa. 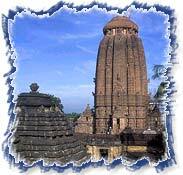 Bhubaneshwar (The Lord of the universe) is now the modern capital city of the Indian State Orissa. Upon arrival at Bhubaneshwar, you will be transferred to the hotel. Bhubaneshwar had once 7000 temples that were built between 8th and 13th centuries. Today we visit some of the finest examples of the classical temple architecture including Lingraj, Rajrani and Mukteshhwar temples. Orissa affords many splendid beaches that offer a perfect scope for sailing and surfing. Today in the morning after having our breakfast we drive to visit the beach known as Gopalpur-on-Sea (170 kms. / 3 hrs.). The exotic Gopalpur Beach confers us the opportunity to spend some precious moments away from the hustle and bustle of city life. Originally it was a small fishing village on the coast of Orissa. Now, this beach has been discovered as a perfect winter resort in India. We will spend whole day at this beach and drive back to hotel. Today we drive through the tropical coastal area to the famous temples of Konark. (56 kms. / 1½ hrs. )Konark was once the centre of Buddhism in India. Now it is famous for the Hindu temples. The world famous Surya Temple is dedicated to God Surya (Sun). The King Langula Narasimha Deva built this temple in the 13th century AD. Surya temple of Konark represents the complete development of Orissian style and architecture that is the only one time example in India being the most beautiful without any counterpiece. After visiting this temple we drive to Puri (60 kms. / 1½ hrs.). Late evening arrival in Puri and transferred to the hotel. Puri is one of the four most important pilgrimage centre for Hindus. The temple of Lord Jagannath (God Vishnu), who is considered the preserver of the world in Hinduism, attracts thousands on feast every day, particularly at the time of 'Rath Yatra' (the car festival). The Jagannath temple is also referred as the white Pagoda and it accommodates 5000 priests in its premises. It's an experience to observe the activities of the pilgrims visiting this unique temple. It is one of the most sacred temples in India. Today we will visit this temple of Lord Jagannath. In the afternoon we visit various other temples of Puri. Evening free for leisure. The beaches of Puri are considered among the best in India. Today we visit the Puri Beach after having our breakfast. Puri Beach is also known as one of India's finest beaches. Puri Beach attracts millions of travellers to India with its strategic setting and religious importance whereas the beach lovers love holidaying in Puri beach. Puri affords an exciting haunting opportunity with its wild sea waves and widespread waters. Puri Beach is an exciting place for viewing romantic sunsets and sunrises. We can easily locate scores of hatted fishermen navigating the tourists through the magnificent breakers rolling from the Bay of Bengal. The beach is also an ideal place to watch dance and music festival that is held every year at Puri Beach. We spent whole day at Puri beach. In the morning after having our breakfast we will drive to Bhubaneshwar Airport (60 kms 2 Hrs) to connect flight to Kolkata. In Kolkata we have rest of the day at leisure. Evening transfer to airport to connect flight for onward destination.